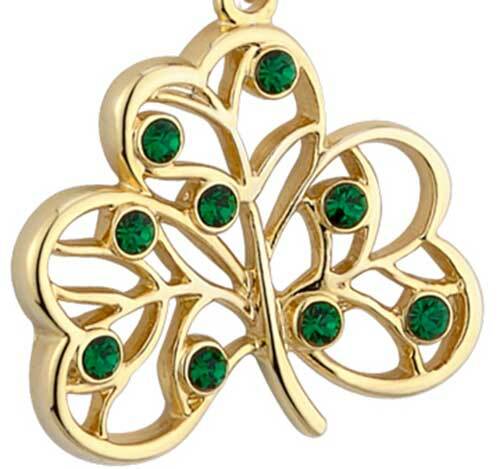 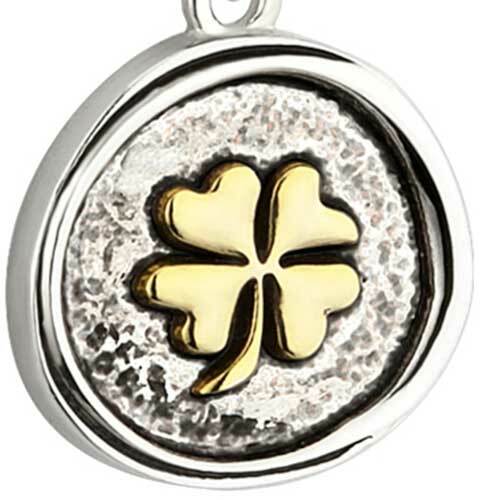 Shamrock necklace features a sprig motif that is embossed with gold plated accenting. 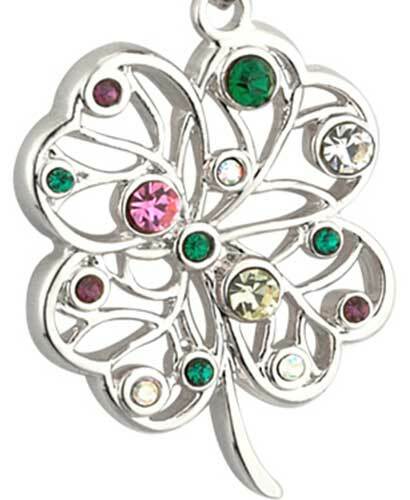 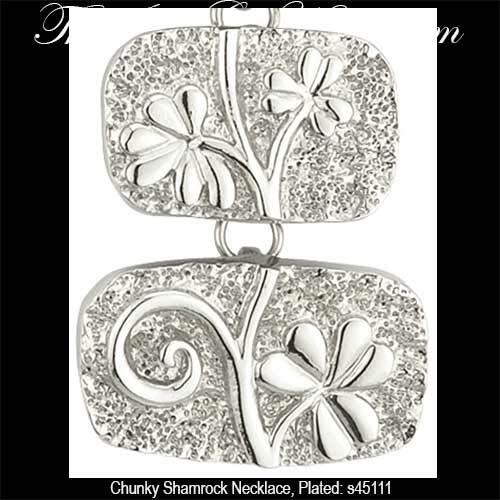 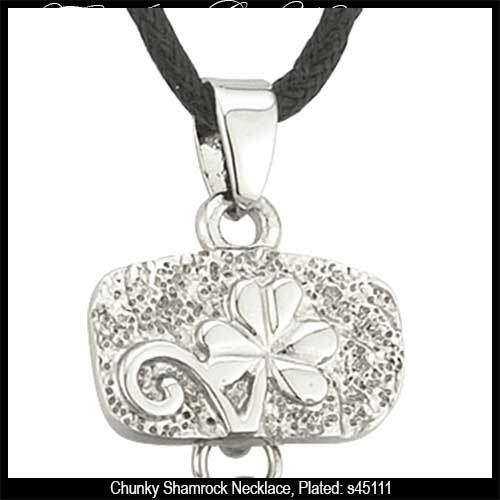 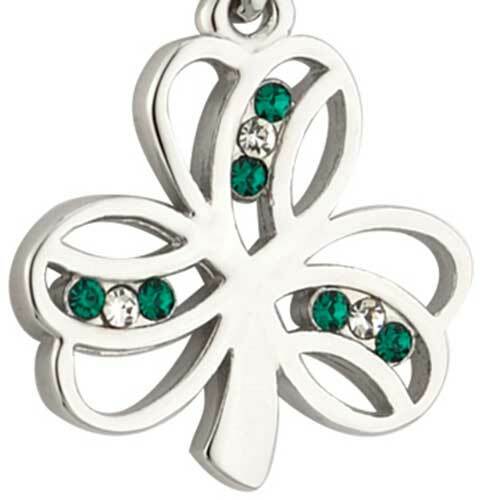 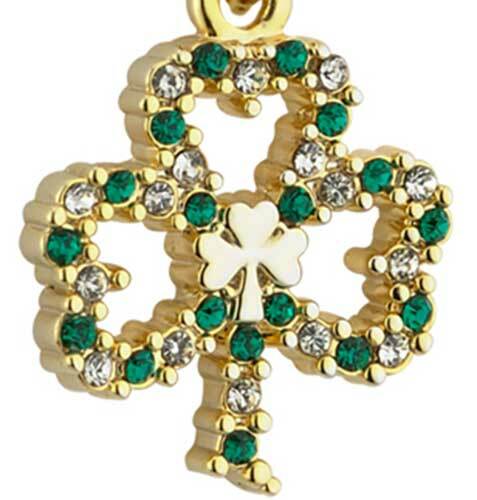 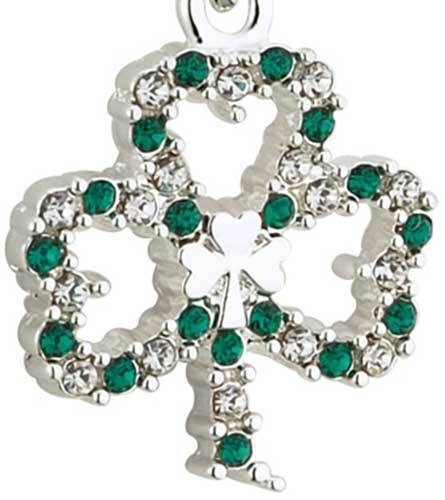 Shamrock necklace features a sprig motif that is embossed on a rhodium plated square with gold plated accenting. 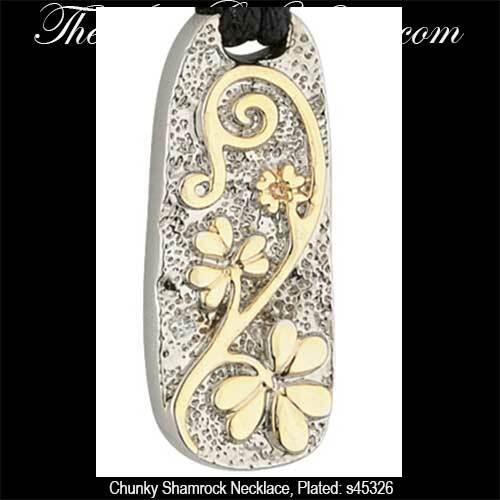 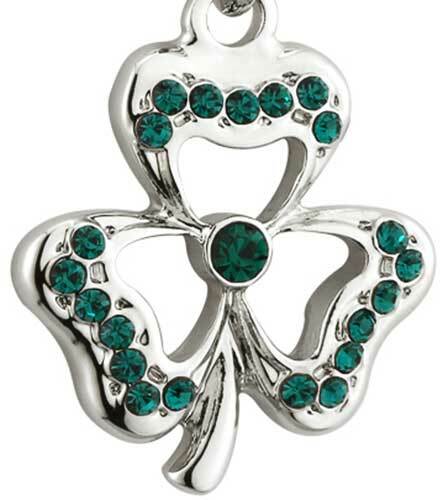 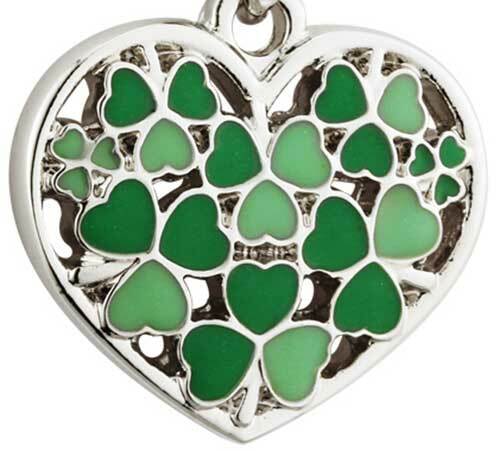 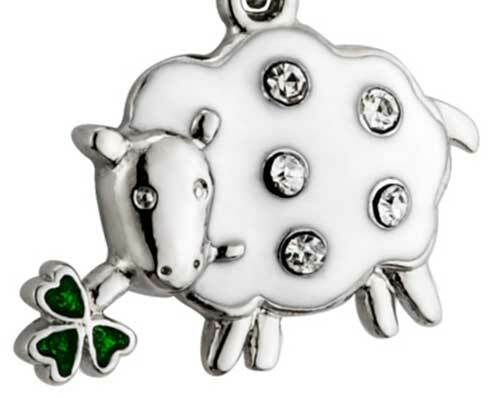 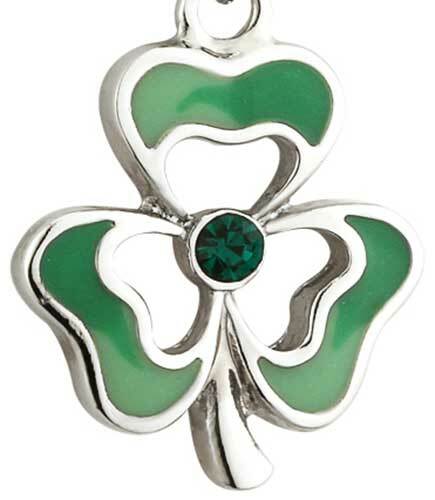 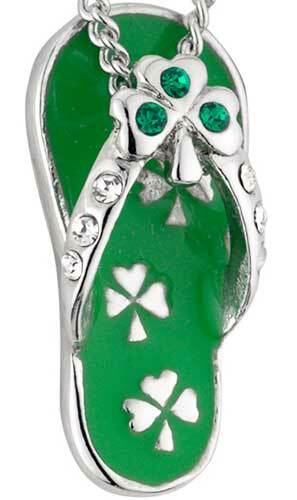 Sandal shaped Irish necklace features shamrocks and is accented with glass stones.